Beechwood Golf & Social House sprawls across gently rolling hills dotted with natural water features and trees, providing a terrain that is ideal for golf. The championship layout features fast, undulating greens and carefully contoured fairways. Battlefield Course is one of the 18-hole, championship courses, so named because of the facility's location on the hallowed grounds of the legendary Battle of Chippewa during the War of 1812. The layout features an impressive man-made lake that spans nearly 20 acres and comes into play on at least four holes. The 18-hole Niagara Falls Golf Club in Niagara Falls, ON is a semi-private golf course that opened in 1966. Niagara Falls Golf Club measures 6135 yards from the longest tees. 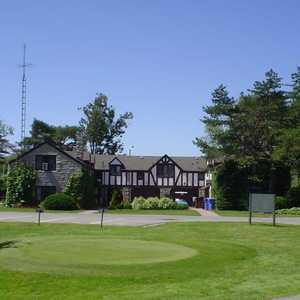 The 9-hole Oak Hall Par-3 in Niagara Falls, ON is a public golf course. Oak Hall Par-3 measures 1050 yards from the longest tees. Oaklands Golf Club boasts a versatile layout that is gentle enough for beginners while still offering a fair amount of challenge for more advanced golfers. The fairways are mostly narrow and water comes into play on a few holes. 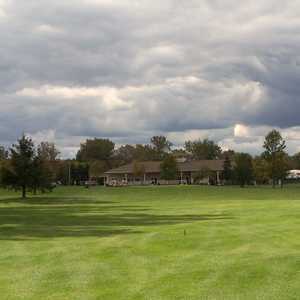 The 18-hole Rolling Meadows Golf & Country Club in Niagara Falls, ON is a semi-private golf course that opened in 1970. Rolling Meadows Golf & Country Club measures 6224 yards from the longest tees and has a slope rating of 127 and a 70.9 USGA rating. Thundering Waters Golf Club, so named for its proximity to the Canadian Horseshoe Falls, has a unique layout that combines a parkland course with the tricky elements of a heathland golf course. There is an interesting combination of drivable par 4s and scenic par 3s that will provide a formidable test for even the most skilled players. Willodell Golf Club of Niagara is neighbored by Lyon Creek to one side and Tee Creek to the other. The championship layout sprawls across rolling hills covered with mature trees, which border the undulating fairways. Several ponds and two creeks come into play on 10 holes.